I have worked recently on designing a visual identity for Salon Joussour, a music event taking place in Korzo theater in The Hague in the Netherlands and consisting of six episodes ranging between concerts, workshops and lectures. 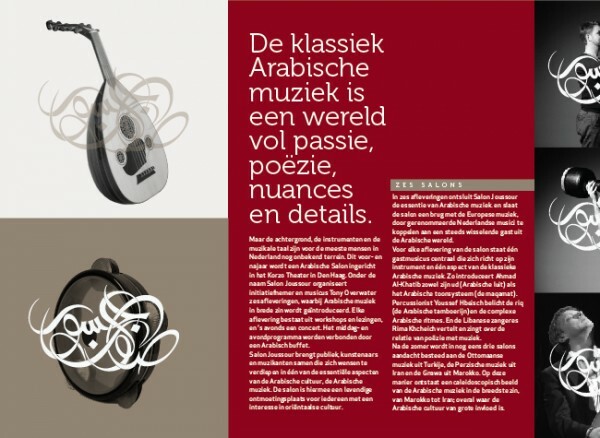 Salon Jourssour’s aim is to create a kaleidoscope of music streaming from Palestine, Lebanon, Egypt, Iran, Turkey and Morroco; and crafting a bridge bonding Arabic and European ingenuity, through connecting renowned Dutch musicians with guest artists from the Arab world. An event that embodies the cross cultural spirit that we constantly try to embody in our design projects at Tarek Atrissi Design. 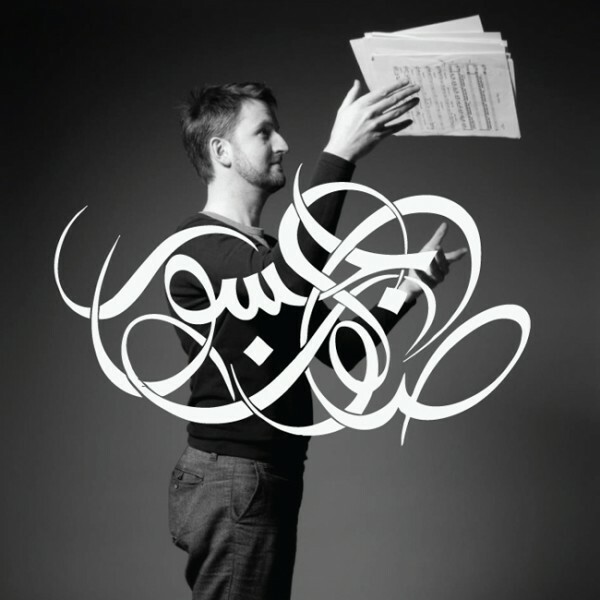 When discussing the event identity, the event organiser expressed his desire to truly visualize classical arabic music as a world of passion, poetry, nuances and details. To me this description seemed similarly applicable to the world of Arabic calligraphy and lettering, which was adopted then as a main element in the logo and identity design. 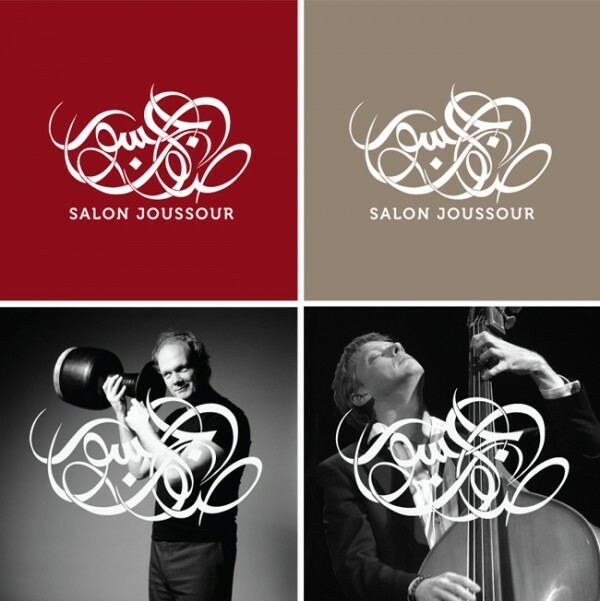 The event name “Salon Joussour” has been rendered in a calligraphic cloud-like shape inspired by the musical language. It overlapped and engaged with the black and white photographs of the of the Salon musician artists to connect their body language with their instruments. The first two salons in April featured Palestinian Ud player Ahmad Al Khatib and Riq player Youssef Hbeisch. The upcoming salon will feature Lebnaese singer Rima Khcheich on June the 8th. More about Salon Joussour on their facebook page.